NGSS Early Implementers is a four-year initiative created to help eight California school districts and two charter management organizations, supported by WestEd’s K–12 Alliance, implement Next Generation Science Standards. The Initiative focuses on NGSS implementation in grades K–8 and incorporates the integrated course model (preferred by the California State Board of Education) for middle school. How much time are teachers spending on integrating science and ELA? What does integration look like in classrooms? How is the Initiative empowering teachers to integrate these subjects? 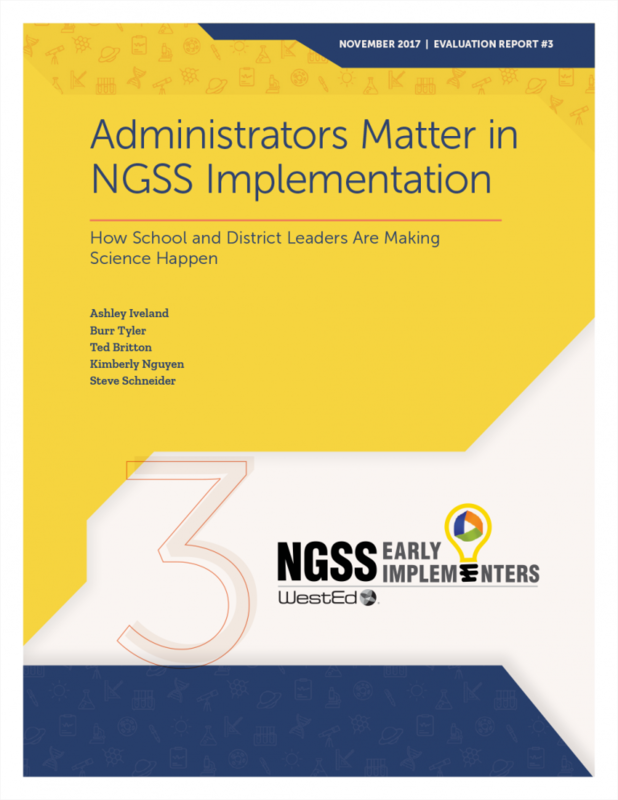 What are recommendations for administrators to support integration of science and ELA?